Regular readers of Man vs World will know that of all the countries I’ve visited in South East Asia I like Cambodia the best. It featured highly in last month’s blog post about the highs and lows of backpacking in SE Asia and it won the recent travel showdown with Vietnam and Laos, a fictional boxing match in which it emerged as the country with the best cultural sights and beaches as well as the friendliest people. Even so, travel in Cambodia may prove difficult if you’re unprepared. The former Democratic Kampuchea is a country in transition – an up-and-coming travel paradise that’s still recovering from Pol Pot and the Khmer Rouge’s reign of terror just 30-odd years ago. The provision of basic services in the country remains spotty, for one thing, making it a country that you would do well to not get seriously ill in. Meanwhile, the country does have its fair share of unscrupulous businesses and individuals looking to rip-off unwary tourists. All this, however, means you’ll just have to be a little bit cautious – as you would in any foreign country. 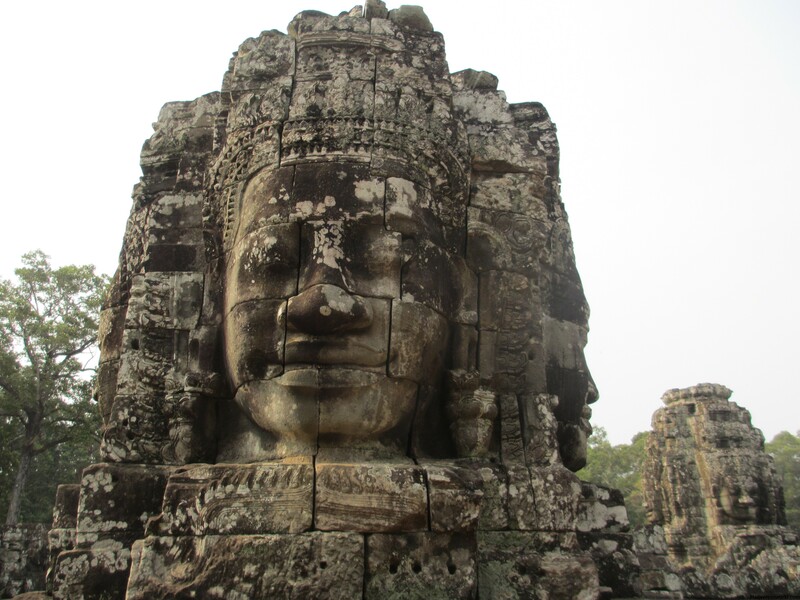 Besides the obvious travel advice – shop around if you don’t want to be cheated out of your hard-earned dough and never ever drink the water – here’s some Cambodia travel tips to help you on your way. Lonely Planet will likely warn you against seeing Angkor in only one day but it can be done – and it’ll save you a wad of cash in the process. You could easily fill a week exploring the Angkor Archaeological Park in Siem Reap, taking in the breath-taking remains of the different capitals of the Khmer Empire that date from the 9th to the 15th century, or, if you’re on a strict budget, you could visit the park’s main sites in one day and save yourself up to $20US a day. Start your day at Angkor Wat, catching the sun rising over the famed temple, before exploring the ancient city of Angkor Thom, which includes the mysterious Bayon temple, Baphuon and Ta Prohm. Finish by watching the sun set over Angkor from Phnom Bakheng Hill – or you could even do this the day before as one-day tickets to Angkor allow you access to the park from 5pm on the previous day. 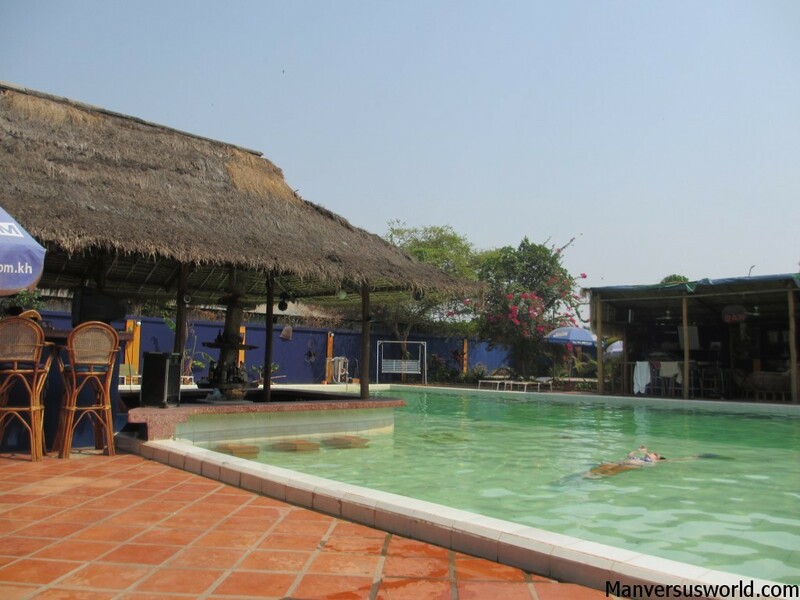 Feeling hot and bothered in Siem Reap? Then head to Aqua, a British-run bar and pool just 1.2km from Psar Chaa. The water is warm and the atmosphere is cool; entry to the large swimming pool costs $2.50. Looking for a lively night out in Siem Reap? Then head to Pub Street, where you’ll find a street packed with restaurants and bars. Drink and food, here, is slightly pricier than at proper local restaurants and bars but it’s far from expensive. Looking for an affordable meal in Siem Reap? Then head to the outdoor food market at the bottom of Pub Street, where you’ll find a lively strip of Cambodian street-style restaurants packed full of hungry backpackers. The food is cheap and delicious, as is the beer. Are Cambodian restaurateurs and waiters dishonest – or are they just really really bad at mathematics? I’d like to think the country’s education system is to blame for the fact that half of the restaurants I ate at in Cambodia tried to overcharge me either by mysteriously putting the price up or by charging me for things I neither ordered nor received. Heed this piece of Cambodia travel advice and check the bill before you pay. S-21 is the former security prison for enemies of the Khmer Rouge, which now serves as Tuol Sleng Genocide Museum, and the killing fields of Choeung Ek is where most of them were put to death. Both are simply unmissable when in Phnom Penh. From 1975 until 1979 nearly two million Cambodians were killed in the pursuit of Khmer Rouge leader Pol Pot’s insane dream of a Communist agrarian society. 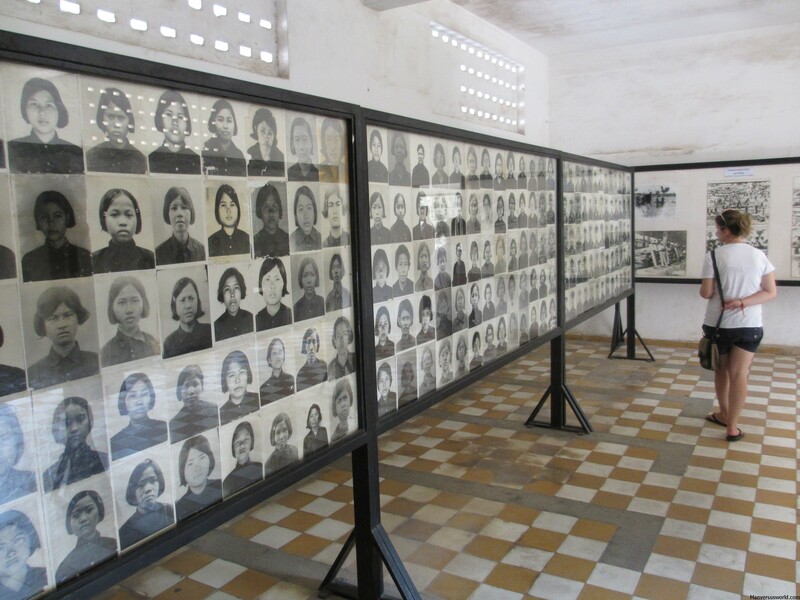 Both sites offer a frightening glimpse into that reign of terror – bones protrude from the earth at Choeung Ek and on display at S-21 are the portraits of most of the prison’s more-than 17,000 victims (all but an estimated 20 or so were tortured and killed). You’ll leave feeling shell-shocked and bitter, but understanding the horrors of what the poor people of Cambodia went through might be the only way to prevent something like it from ever happening again. 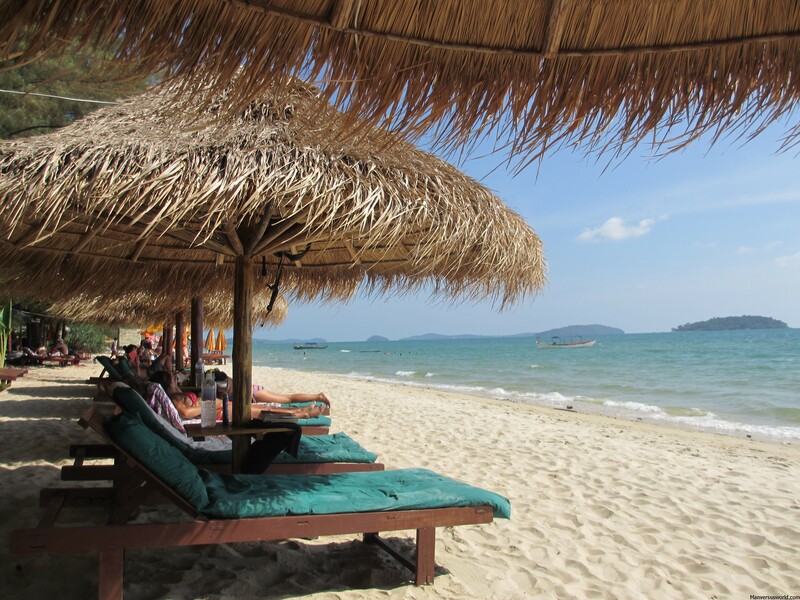 After being reminded of the atrocities committed by Pol Pot and the Khmer Rouge you’ll need a bit of recovery time – and there’s no better place than beautiful Sihanoukville. 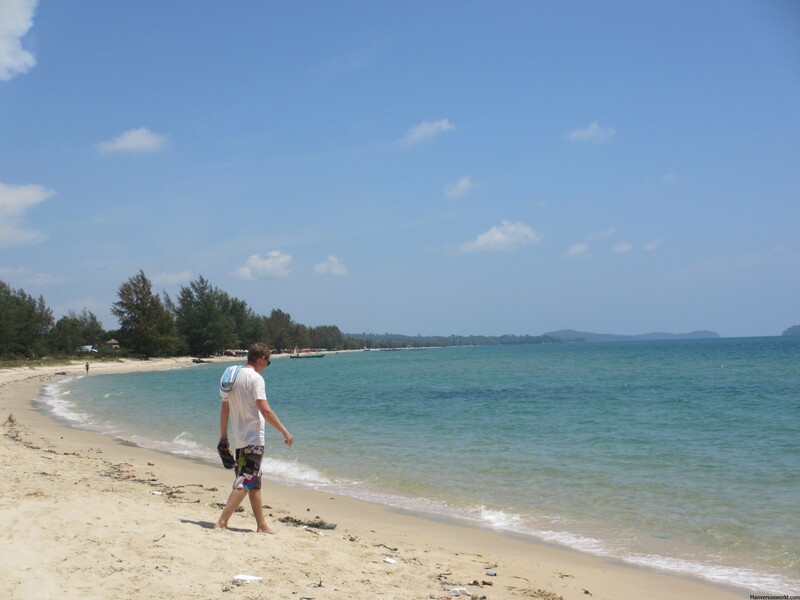 Cambodia’s best beach resort town is just three or four hours from Phnom Penh by bus. Surrounded on three sides by the bay of Thailand, this chilled-out sea-side paradise has a lot to recommend it: beautiful beaches, nice restaurants and bars, a fun night life and, best of all, cheap and delicious beach barbecues. Every night along Serendipity Beach – the popular tourist drag where I recommend you base yourself – you’ll be able to get a plate of barbecued beef, chicken or sea food with potato and salad for just $3US. Add a 50c beer to the mix during happy hour and you really can’t do much better anywhere in the world. Cambodians really are a friendly bunch – so when I found myself having a conversation with the chap behind the bar in Sihanoukville I couldn’t help but by him a beer. I learnt more about Cambodia from a conversation with he-who’s-name-I-can’t-spell than I did travelling through the country. Thinking back now, it’s undoubtedly one of my favourite memories of my time travelling in Cambodia. I mean, how often do you get an opportunity to have a beer with a local in Cambodia? A very interesting guide. Cambodia is a place where we want to go one day. You prove that it’s possible to do a lot of different things and discover a new culture! 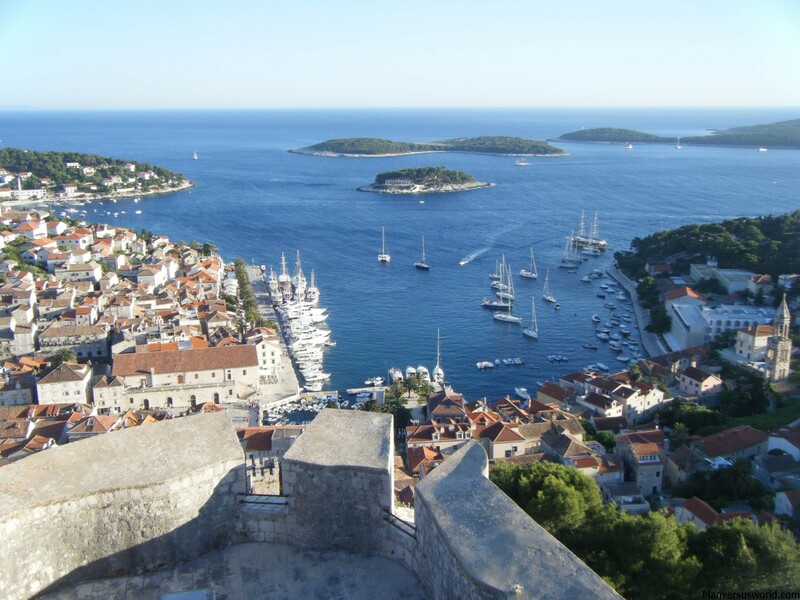 Greetings from another travel blog and best regards! You should – I highly recommend it! Thanks for the comment – I’ll check out your blog! Nice! The dude who ran the place seemed like he was usually up for a few drinks. We couldn’t spend more than a day at Angkor Wat. We got our tickets the night before to see the sunset (ok I guess that makes it more than one day, and then the next morning we rented bikes and rode up at 4:30AM for the sunrise. It took about 12 hours for us to ride around and see everything we wanted to see! That’s ideal. I did sunrise and sunset in the one day (mostly because I didn’t want to pay a taxi/tuktuk to take me out there twice) but if you’re on a bike then that must be a great way to do it! You must have been exhausted, though! Booking my flights soon, but have to wait until next April till I can visit all these amazing places. Thanks for the pointers mate! With regards to S-21, how did you get there? Did you do an organised tour? Ha, I thought of your trip when I was writing this! We did a day trip by tuk-tuk, taking in S-21 and the Killing Fields (plus some other less-memorable stuff like the art museum) for $15 total. Entry to the killing fields and the audio tour (essential!) I think was $5 each; S-21 was about $2 each I think. Headed there next year! Great advice Simon! Cheers for the tips Simon – I’ve included this round up in our Best Blogs and Posts in August feature – great work! Whoop!! Thank you very much – it’s an honour to be included! Nice tips. I agree with the one day at Angkor being enough. 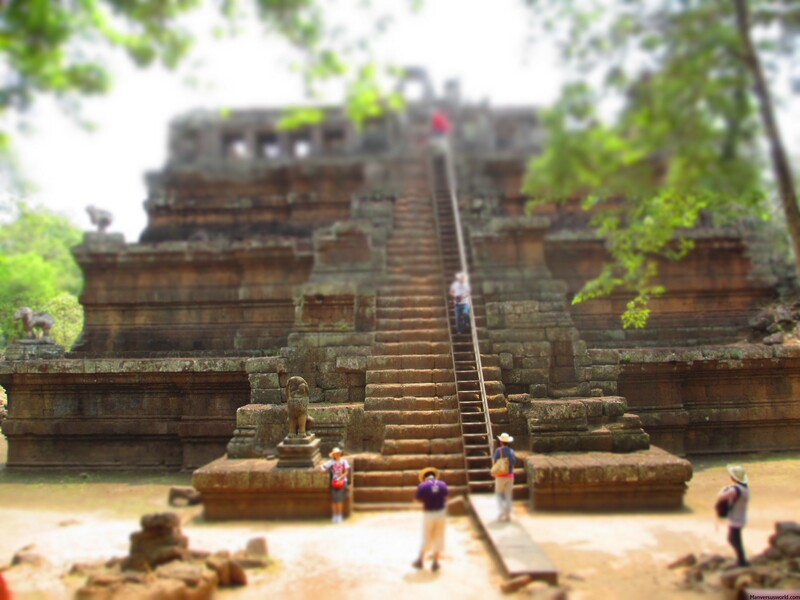 Although as I recall, in order to get out to the Landmine Museum and Bantay Srei, etc… you need a 2nd day’s pass. Those trips were worth it. 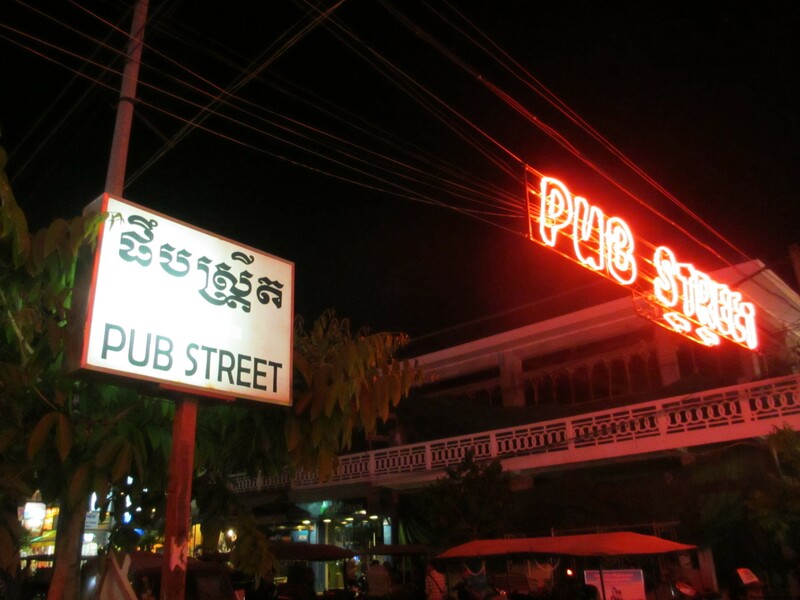 I wasn’t much of a fan of Pub Street; it felt like the Khmer version of Waikiki (only for tourists), but I absolutely loved those street style restaurants at the end of the street. The food was not only cheap but good and you know it was definitely all locally owned. I know what you mean about Pub Street – we never ate there, just at the restaurants at the bottom of the street. Those restaurants are amazing! 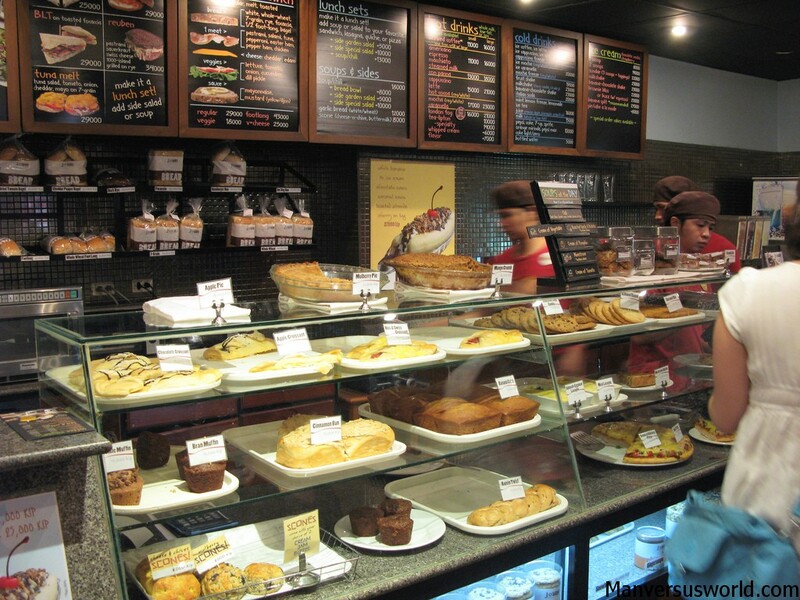 Great atmosphere, they’re cheap and local, and the food is good. Great article Simon 🙂 Plenty of top tips for when I finally get together the airfare! Gosh how I loved Cambodia. My tip would be don’t be afraid to go off the beaten path (maybe not quite literally, where there might be unexploded mines), but to remote areas. I loved my few days cycling the Mekong Discovery Trail – just beautiful and everyone running out of their houses to greet us. Sleeping on the floor of a home stay in the middle of nowhere, with a family who knew no English but had little laminated signs – all of it was magical. Excellent tip! I wish I’d gone off the beaten track a bit more myself.